Kell Brook turned in a below-par performance on his way to winning his WBA super-welterweight final eliminator against Michael Zerafa by unanimous decision. The former IBF welterweight champion was defensively sloppy in his first fight under the tutelage of new trainer John Fewkes, allowing himself to be caught by too many right hands from the Australian. Victory nevertheless rarely looked in doubt for Brook, but it is a performance that could leave the 32-year-old questioning his next steps. Brook stepped into the ring wearing Santa Claus-style shorts - red with a furry white trim - but he may feel his showing was better described as a turkey than a cracker. He controlled the first round but found Zerafa to be a stubborn opponent and left himself too open to counter-punches. As the fight wore on it became ever more evident that Brook was not going to produce the dominant performance many had predicted, although a strong seventh round briefly turned up the heat on Zerafa. 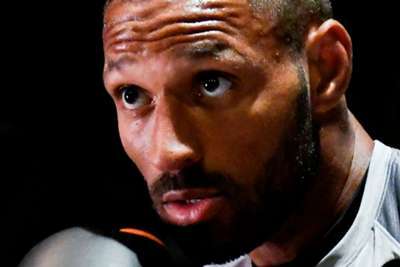 The less experienced man responded well and landed some impressive combinations in the ninth round during a particularly concerning period for Brook. Brook then went on the offensive in the final round but saw Zerafa recover to see out the fight, the home favourite taking the win with scores of 118-110, 119-109, 117-111.